Across the globe, family policy is becoming ever more important in tackling key issues such as poverty, child welfare and the state of the economy in general. The Handbook of Family Policy examines how state and workplace policies support parents and their children in developing, earning and caring. 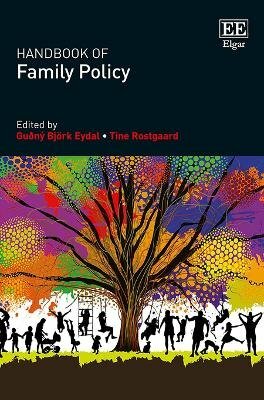 With original contributions from 44 leading scholars, this Handbook provides readers with up-to-date knowledge on family policies and family policy research, taking stock of current literature as well as providing analyses of present-day policies, and where they should head in the future. The Handbook is divided into five main sections: history, concepts, theory and methods of family policy research; family policies; family policy models; outcomes of family policies; and future challenges for family policy making and research. Beneficial for both scholars already familiar with the field as well as newcomers, this Handbook provides important insights into the architecture and mechanisms of different family policy models. Family policy makers would also greatly benefit from the detailed advice on how family policies may adapt and progress in the future.